Craig dynamic duo. Senti and Waller saving the day!. Wallpaper and background images in the GIFs club. 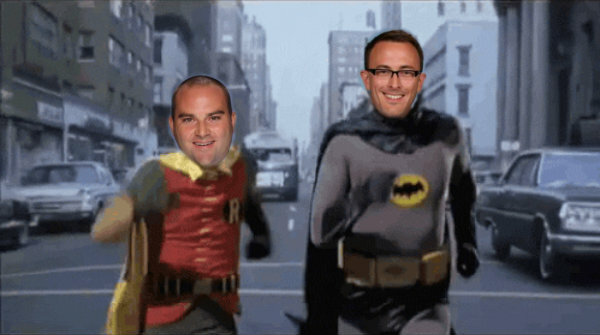 Senti and Waller saving the day! This GIFs fan art contains street, city scene, and urban setting. There might also be workwear.